The appointment of Captain Archibald Robertson as Chief Constable, on 12th April 1841, is largely regarded as the first day of the Hertfordshire Constabulary. A lesser known fact is that Robertson was on his own for almost a month before the first round of Constables were recruited to serve under him. The first of these men was Robert Dunn. 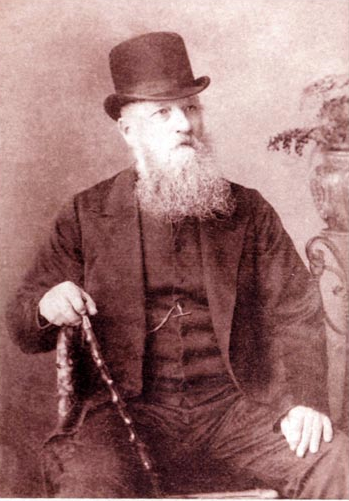 Robert Dunn was born in Strood, Kent on 6th June 1800. In 1830 he joined the Metropolitan police, which had been formed just one year earlier. He was promoted to Sergeant in 1835. In 1839 the Met’s Commissioner, Sir Richard Mayne, recommended that Robert with his ‘sturdy and straightforward character’ be appointed as Superintendent of the ‘Bishop’s Stortford Police Association’. A few months into his new posting, Robert won favour with local magistrates after apprehending three men for stealing a sheep worth £45. It would appear that the station at Bishop’s Stortford from which Robert performed his duties was primitive to say the least, as one of the felons, Thomas Pledger, managed to ‘cut a hole through his cell’ and escape into the night. Robert would spend the next month searching for him until he received a crucial tip-off on 26th December 1839. Word was that a man matching Pledger’s description had been spotted in Blythburg, Suffolk. Robert immediately made the hundred mile journey to Blythburg where he succeeded in recapturing a remorseful Thomas Pledger. At his trial two days later, Pledger was found guilty of theft and escaping custody and was transported for ten years. Robert was commended by the bench and awarded £10 costs for his troubles. When the Hertfordshire Constabulary was formed two years later, Robert’s experience was no doubt deemed invaluable. He was duly appointed as a 1st Class-Constable on 6th May 1841 and posted to Hitchin, where he served alongside Inspector Leonard Alyn and one other Constable. On 2nd October 1841, Robert was patrolling the market square when he spotted a man acting strangely. Upon being approached by Robert the man revealed his identity as Robert Blakesley; a butcher wanted for a brutal murder in London. Realising that his fate was sealed, Blakesley admitted to the killing and fainted. He was taken to the town’s police station on Bancroft, before being transferred to London and put before the Lord Mayor at the Old Bailey. Robert was commended for his discovery and for apprehending such a dangerous man and was awarded £50 pounds by the Treasury for his services. Blakesley meanwhile was found guilty of murder and was executed at Newgate prison on 15th November 1841, in front of a large crowd of public spectators. On 16th April 1842, Robert bypassed the rank of Sergeant and was promoted to Inspector. A further promotion followed on 10th October 1850 when he became Superintendent Dunn. He retired on 3rd April 1865 after a combined total of thirty-five years police service. Records still held by the Constabulary reveal that he was awarded a pension. 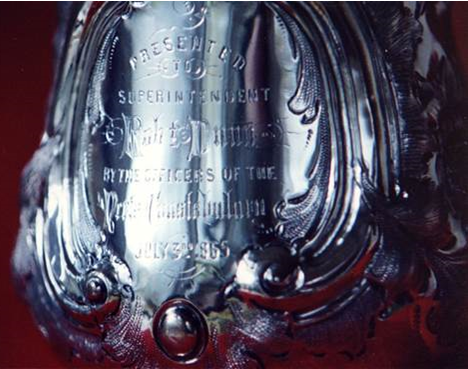 In addition to his superannuation, Robert was presented with an all the more personal memento; a silver cup bearing the engraving, ‘presented to Superintendent Robert Dunn by the officers of the Hertfordshire Constabulary’. 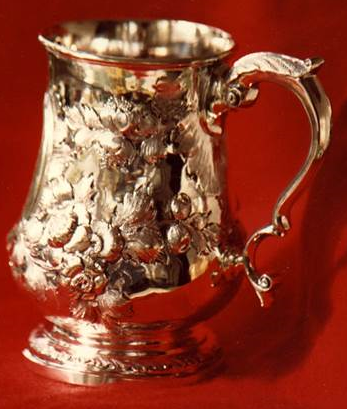 The cup has remained within the family ever since and been passed-down to successive generations. It is now in the care of Robert’s great great great grandson, who is also named Robert. Robert spent his retirement at 15, Port Vale, Hertford and upon his death in 1885 was buried in Bengeo churchyard. Despite his retirement, Robert had seen to it that the name Dunn would live on in the Constabulary for years to come. Of his eleven children, five sons, Robert jnr., William, James, Thomas and Edmund, would follow in their father’s police footstep. Robert’s first son, Robert jnr. (born 1821), joined the Constabulary as a Probationary Constable on 19th June 1851. He was confirmed in rank a year later. On New Year’s Eve 1853 Robert was tasked with serving a summons on George Trapp at a beer house in Abbots Langley. Whilst attempting to do so, another man, George Bennett, interfered and snatched the paper out of Robert’s hand. Having ripped the summons up, Bennett followed Robert out into the street where he pushed him and tripped him up. As Robert struggled to get back on his feet, he was jumped on several times, causing injuries to his groin, side and stomach. Bennett then produced a knife and threatened to “rip” the young Constable “open”. Robert eventually managed to get away and was examined by Dr Wooton at Kings Langley. A tear was found in his coat which had apparently been caused by Bennett’s knife. He was then sent home and advised to take up to ten days off work. Bennett was subsequently convicted of assaulting Robert whilst in the execution of his duties and sentenced to two years imprisonment with hard labour. Robert recovered from the incident and was promoted to Sergeant on 11th June 1868. He retired seven years later on 30th June 1875. Two of his own sons, Robert and Walter would go on to join the Metropolitan police in 1881 and 1891 respectively. On 29th October 1846, James Dunn (born 1826) joined the Constabulary as a 2nd Class Constable. His career was cut short on 16th April 1856 when he was dismissed for being drunk on duty. He moved to Ontario, Canada and died in 1909. William (born 1824) joined the constabulary as a 2nd class constable on 5th January 1842. On Christmas day 1846, William was called upon to investigate an offence of sheep rustling at Little Berkhamstead. His investigation was greatly aided by the discovery of shoe impressions in the crisp snow which led from the field where a lamb had been taken. William summoned the assistance of his father and brother James and together they apprehended George and Joseph Welch. George was caught in the act of trying to conceal the remains of the lamb and upon inspection, the soles of his boots were found to be a perfect match with the prints found in the snow. A dish containing a neck and some bones from the lamb, along with George’s boots were produced as exhibits at his subsequent trial. William was promoted to 1st Class-Constable on 24th June 1858 and remained in service until 15th November 1876. He died at Bishop’s Stortford in 1899. 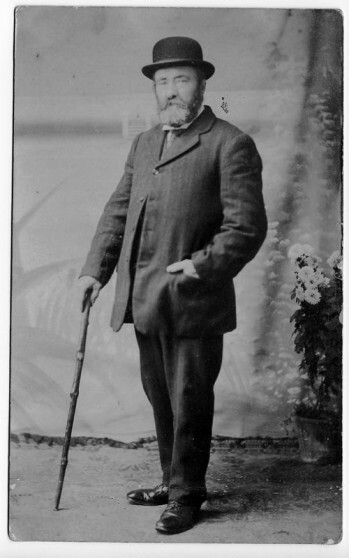 Robert’s seventh child, Thomas (born 1835), joined the Constabulary as a probationary Constable on 12th August 1852. He was promoted to 2nd Class-Constable on 2nd June 1853 and awarded 1st Class status on 28th February 1861. In July 1881, the Chief Constable Henry Smith Daniell announced to the Constabulary committee at the Quarter Sessions that Thomas was to retire on medical grounds. He had completed 28 years and 11 months’ service. Daniell addressed the committee and said of Thomas, “this officer has been on several occasions very seriously injured in encounters with gangs of offenders. The injuries he received on one occasion have affected his spine and for the last two years he has been unable to do any night duty. He has served with credit and bears a good character”. Having reviewed his medical record, the committee approved Thomas’ early retirement and awarded him an annual pension of £39. He died thirty-three years later. The last of Robert’s prodigy to join the force was Edmund (born 1842). Having commenced his service on 27th September 1860, he attained 2nd Class status on 16th January 1862 and 1st Class status on 20th October 1864. He was promoted to Sergeant on 27th May 1869. On 6th November 1871 Edmund accompanied Inspector Young to the Old White Horse public house in Back Street, Hitchin, where a heated brawl had broken out. Upon entering the premises, Inspector Young was attacked by one of the protagonists, who took hold of him by the throat. Edmund managed to fight the man off, no doubt saving his Inspector from serious injury. With that, a man named James West drew a pistol and struck Edmund on the head with it several times. Despite blood running down his face and coat, Edmund managed to wrestle the gun from West and bring him under control. West was subsequently tried and given the choice of paying a hefty fine of £4 or serving two months behind bars. Edmund recovered from the incident and was promoted to Inspector on 28th June 1877. He died whilst serving with the force, in January 1882. The author is grateful to Chris Dunn, great great grandson of Robert Dunn, for his assistance and research. I’m related to Robert Dunn – he was my great grandfather. I found the history very interesting thank you so much.